A NASA astronaut and distinguished space photographer who spent more than seven months off the planet presents the infinite wonder of his astonishing aerial images of Earth, along with captivating tales of life at the edge of the atmosphere. Astounding photographs of our world from outer space and edge-of-your-seat stories of survival in orbit--including close collegiality with Russian cosmonauts--make this a dazzling, personal account of living on the space station. Few people get the experience of seeing the world from outer space--and no one has taken as many pictures of Earth from above as Terry Virts. Celebrated NASA astronaut, pilot of the space shuttle, crew member on Soyuz, and commander of the International Space Station, Virts has spent more than 200 days in space--and very few of those days went by without his reaching for his camera. Now as never before, Virts shares the astronaut's view of the world, offering stunning aerial views of our planet and the vastness that surrounds it. The colors, shapes, details--and the stories they tell--are endlessly fascinating. 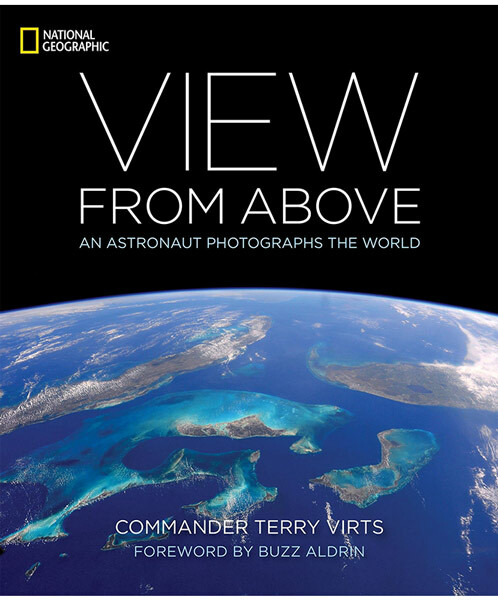 Virts's book marries his exquisite photographs with glimpses of everyday life in orbit, including candid shots of fellow astronauts Scott Kelly and Samantha Cristoforetti. Amid this amazing show of Earth spectacles, he reflects on how the astronaut's point of view has shaped his life and spirit. Filled with magnificent photographs that will astonish and inspire, this book--and its intrepid author--becomes our guide to a new way of looking at the world.